Mooney Strength, Speed and Economy. 140kts at only 10GPH! 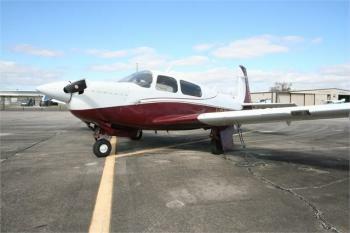 Airframe Details: One piece windshield Cowling enclosure faring Manual Gear/Flaps Reiff engine Heater Fuel 50gals Service Bulletin 208 Complied (no corrosion) Engine(s) Details: Lycoming O-360 180H.P. 810 SMOH (2005) by Triad Burlington N.C. to Factory New Limits 810 SPOH (2005)......more. Airframe Time: 2550 Hours Engine Time: 350 SMOH by JB Aircraft Engines (Lycoming IO-360, 2000 Hr TBO) 2005 Propeller Time: 350 SPOH on Harzell Three Blade Useful Load: 984 lbs Annual Due: January 2019 Avionics: Garmin GMA 340 Audio panel with 3LMB Apollo MX 20 MFD Color Moving Map Garmin CNX 80 Color IFR Moving Map GPS/Com with WAAS Garmin Glide Slope/VOR/Localizer Indicator Mac 1700 ......more. 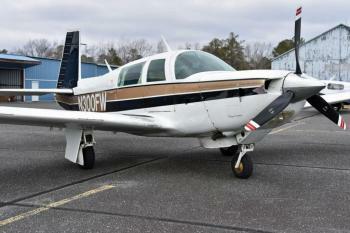 77 Mooney 201 - Trade in, don't need it, bring your offers! 2755 TT, 75 SMOH, 341 SNew Prop. 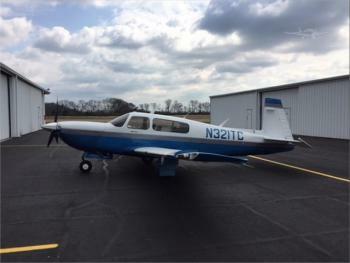 Airframe: Total time since new - 2755 hours Complete logs No damage history Engines: Engine1 Overhaul Time:75 Engine 1 Overhaul Type:SMOH Engine Time SMOH done in 11/2017 - 75 Hours Props: Hartzell F7497 Two Bladed Propeller Since New in 2018 : 341 Hours......more. 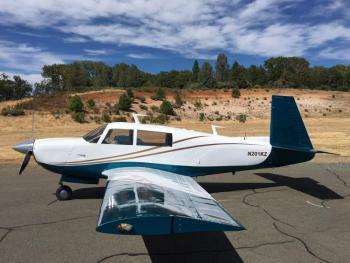 Total Time:	4450 TT Engine:	260 SFACT REMAN Propeller:	260 SPOH Exterior:	MATTERHORN WHITE, MED CONCORD BLUE & GOLD Interior:	POLAR GRAY VINYL # Of Seats:	4 Seating:	4 Annual Due:	6/19 Avionics:	KING KMA 24 AUDIO PANEL W/3 LITE MB GARMIN 650 GPS/NAV/COM (1gs) STRATUS XPONDER ADS-B OUT 3M WX10A STORMSCOPE GARMIN 396 W/WX TXM Auto-Pilot:	CENTURY IIB W/NSB 360 HSI Other Equip:	DIGIT......more. Airframe: 2227.9 TOTAL HOURS SINCE NEW Engine(s): LYCOMING IO-360-A3B6D, 2000 TBO SERIAL NO. L-21128-51A 925.6 SMOH Prop Specs: MCCAULEY 2-BLADE SPOH 925.6......more. 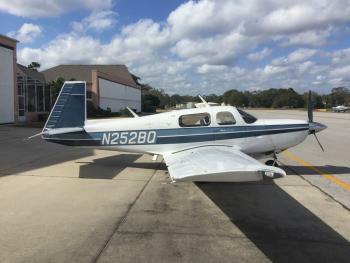 Upgraded 231 to firewall forward 252 with MB1 engine, intercooler, turbocharger, wastgate, and cowl; Garmin 530W, King KFC200 Flight Director; 3-blade scimitar hot prop, one-piece belly; recently restripped/resealed fuel tanks by Wet Wingologists Airframe: hangared Engines: Engine(s)390 Hours Since Factory Zero Time 40 Hours STOH Props: 40 Hours SOH......more. 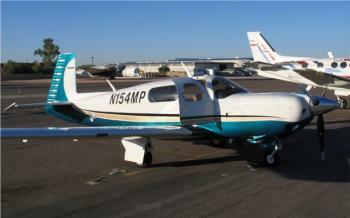 TOTAL TIME:	3470 TT ENGINE:	1326 SFACT REMAN 40 STOP PROPELLER:	1326 SPOH Don't miss the chance to own this aircraft. Click here for more details.. Very nice aircraft. Airframe Details: Total Airframe Time: 1207 Hrs Engine(s) Details: SMOH 800 Overhaul 2005 Continental TSIOL-550-A3 350 Hp turbo charged water cooled SPNEW 800 Mc cauley 3 blade prop......more. 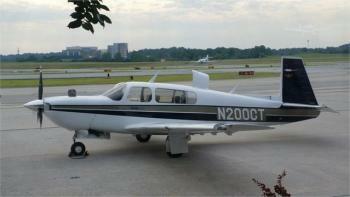 2039 Total Time 258 Since Major Overhaul Don't miss the chance to own this aircraft. Click here for more details..
Only Two Owners, Professionally maintained and operated, Always Hangared Engines: SMOH L/R: 832/1890 Mooney TLS Converted to Bravo Lycoming TIO 540-AF1B, New Factory Cylinders with Bravo "Wet head" conversion at 832 hours Props: 3 Blade McCauley B3D32C417 Prop resealed & propeller deice brush assemblies replaced at September 2017 annual......more. G430W, WX-1000+ Don't miss the chance to own this aircraft. 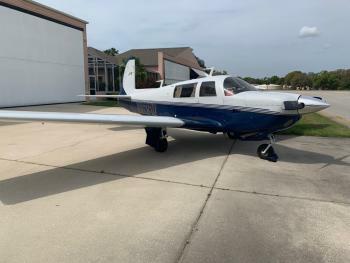 Click here for more details..
Low Time Mooney with Dual Garmin 430s, STEC Autopilot, Digital Fuel Flow, Only 2655TT 1085SMOH, Complete logs, Nice Leather Interior. Priced to Sell Call Listing Broker Scott MacDonald 772-781-5900 or Direct 772-215-0805 Airframe: Only 2655 Total Time Since NEW! Engines: Engine 1 Time1085 SMOH Engine(s)1085 SMOH May of 2005 By Columbia Aircraft Services, Inc RS#JM22R930K Props: Prop Spe......more.